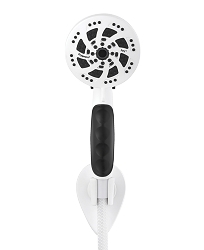 The Fury RV has the power and versatility to take your RV shower from lackluster to lovin’ it … and who wouldn’t want that? 5 spray settings including an Oxygenics setting, guaranteed to make that 5-mile hike a distant memory. 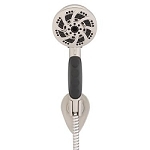 Comfort control lever allows quick adjustment of shower pressure for a more satisfying shower. Non-slip rubber finger grips to help you keep a tight hold when your hands are wet. Ample 72" hose to easily reach wherever it is needed. 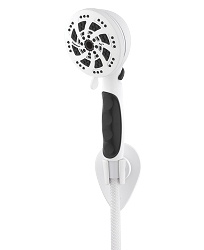 5 powerful settings to take that RV shower from bland to BOOM!